This article covers the basics of indoor lighting for plant growth. The goal of this article is to help you develop a fundamental understanding of the types of lights available on the market and which are best for a given application. One of the most important things to understand when growing plants indoors is the rule of limiting factors. The success of your plants is determined by limiting factors; If your plants do not receive enough of one variable then your plants will not grow at their maximum rate regardless of how much of any other variable your plants are given. To become the best grower possible you should always search for your limiting factor. Discovering your limiting factor will increase growth without having to adjust any other variable. Look at it this way, if you don’t have the right lights then it doesn’t matter how good your medium, fertilizer, or hydroponic system is - Your plants will never reach their maximum potential. All light bulbs produce a certain color, or range of colors. The color spectrum that a light bulb produces is measured in Degrees Kelvin, which specifies the hue produced by the bulb. Certain plants grow better under certain color spectrum's. For example, most plants will grow better around the 6500k spectrum, while flowering plants will grow better in the 2700k spectrum. There are many variable that affect your plants rate of growth, the most important of which is light. Using a high quality light will have a great effect on the outcome of your plants. You will find numerous plant lighting systems on the market, each with their own positive and negative aspects to consider. Choosing the right light for your application is the most important part to effectively growing indoors. Incandescent lamps are standard household light bulbs. Incandescents have come under increased scrutiny over the last few years as they are incredibly inefficient. Incandescents have an efficiency rate around 5% and the spectrum of light produced is not ideal for growing plants. Incandescents also produce a large amount of heat which will increase your cooling costs. We do not recommend using incandescent lamps for growing plants. Fluorescent lamps are a great choice for indoor plant growth, especially high-output fluorescent bulbs. They are 3-7 times more efficient than incandescents, meaning you will use less electricity while producing more light. Fluorescent lamps are available in a wide range of spectrum's, with bulbs in the 6500k range being ideal for growing. Fluorescent bulbs are not ideal for large plants, as they do not penetrate as deeply as High Intensity Discharge lamps. Fluorescent lamps may be a viable option for growing large plants if you have lights above and to the side of the plant. Compact Fluorescent Lamps (CFL) are another popular form of fluorescent bulbs. 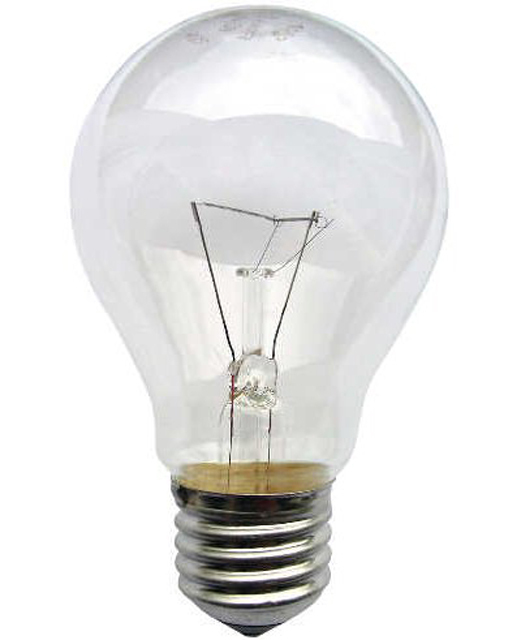 CFL’s were designed as an efficient alternative to incandescent bulbs. CFL’s use less power and have a longer life than incandescent bulbs. CFL’s are useful for smaller grows and growers on a budget. CFL’s are a good choice for the small-size or novice grower because they don’t require a ballast or fancy wiring; They simply screw into a standard mogul socket. It is worth mentioning that you should try and use a lamp reflector because CFL’s produce light in all directions, so you could be wasting light if you don’t use a reflector of some type. HID or High Intensity Discharge Lamps are the top choice among growers. Types of HID lamps include high pressure sodium (HPS) and metal halide (MH) bulbs. HID lamps are typically used for lighting large areas such as warehouses, parking lots, and streets. Today, they are a top choice among growers because they have a very high light output and are 4 to 8 times more efficient than incandescent lamps. HID lamps utilize a special bulb in conjunction with a mechanical or electronic ballast. The purpose of the ballast is to start and maintain the arc through the bulb. To put it simply, a ballast is needed to turn the bulb on and provide a regulated voltage to the lamp. Mechanical ballasts are less efficient than electronic ballasts and some only work with one type of bulb. For example, if you buy a high pressure sodium bulb and magnetic ballast combo, then you would have to buy a specific metal halide conversion bulb if you wish to use the ballast with a MH bulb. Electronic ballasts are the top choice among growers for a couple of reasons. They are quieter and more efficient than magnetic ballasts, plus they are typically compatible with multiple bulb types. An electronic ballast will save you money on electricity and equipment in the long run. Most electronic ballasts supports multiple types of bulbs, although this can vary between manufacturers. If your electronic ballast supports multiple bulb types then you wont have to worry about swapping out entire ballasts when you change your bulb! HID lamps produce a large amount of heat, so extra ventilation and proper reflector height should be taken into consideration when planning a grow enclosure and hanging your lights. Ideally, you should hang your lights about 2 feet from the top of your plants. A good way to check the height of your lights is to hold your hand just above the plant - If the heat from the light is too hot for your hand, then its too hot for your plant! LED’s (Light Emitting Diodes) are up and coming in the world of indoor growing. LED’s are a new technology, relative to other light sources used for growing. Utilizing LED’s will save you money on electricity, as LED’s use much less electricity compared to all other light sources. LED’s also last considerably longer, most will last around 50,000 hours. Chances are the power supply in any LED setup will go out before the actual LED’s do! (The power supply can be replaced) The main downside to LED’s is the upfront cost associated with setting up an LED system. Depending on a few factors, it could take up to a year or longer to pay off the cost of the LED’s. There are a couple benefits to using LED’s, primarily the electricity savings. When utilized correctly, LED’s will provide a very specific light spectrum that is ideal for your plants. Many growers supplement their light system with LED’s that produce a spectrum that is ideal for photosynthesis. LED’s also produce less heat, which may further lower your electricity bill by reducing your cooling load. There are many factors to consider when purchasing a grow light. The primary factors that you will need to consider are your budget, enclosure type & size, plant type, and ventilation. Your budget is a primary factor when choosing the right kind of light. Low-budget growers are better off with fluorescent tubes, usually a size T5. Small-scale growers will be better off with compact fluorescent bulbs. If you have a larger budget or a larger grow area then you should go with a High Intensity Discharge (HID) light system. HID lamps have the highest output and work best with larger plants. Keep in mind that HID systems will need their own ventilation system. 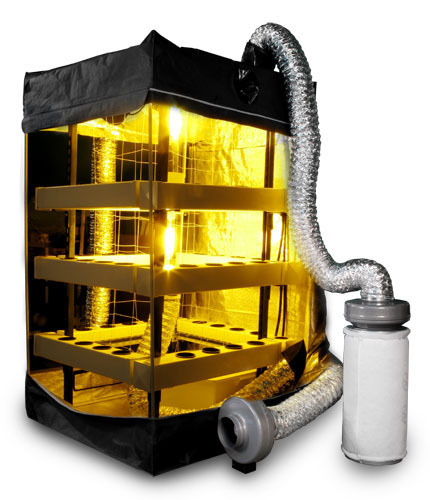 Venting HID lights straight into your grow room will contribute greatly to cooling costs and may make it difficult to regulate the temperature in your grow room. We recommend using an enclosed reflector for your HID lights. 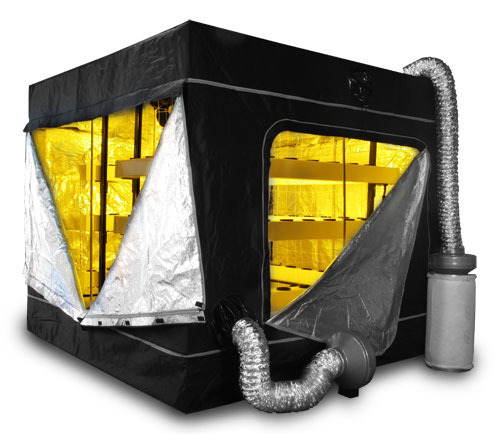 Enclosed reflectors are connected to their own ventilation system that pulls air from outside the grow room, cools the lights, then pushes the hot out outside of the grow room. 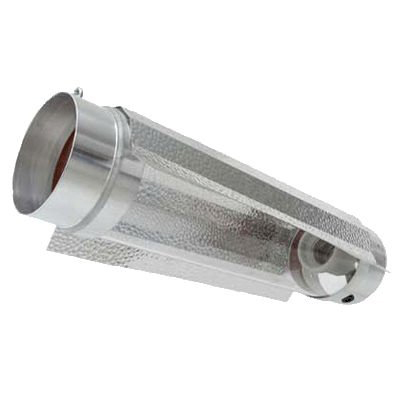 Exhaust air from your lights should not be vented into the same room as your air intake; Ideally you want to vent it outside or into an attic, crawlspace, etc. LED’s will work best for someone who will be growing for a long time. If you are a serious grower with money to spend then you should definitely consider LED’s. You’ll save a considerable amount of money over the long run. For example, if you go from a 700w HID system to a 70w LED system, then you could potentially save $3,000 to $5,000 on electricity over the lifetime of the LED’s. This figure is not a guarantee; keep in mind that your savings are dependent on numerous factors such as electricity cost, upfront investment, amount of use, environment, system size, etc. These factors can vary greatly from application to application, but if you will use them enough then you will save considerable amounts of money in the long run! And who doesn’t like to save money?